Where can I find other local scholarships? Other area service clubs offer scholarships such as Tri Kappa – do your research! 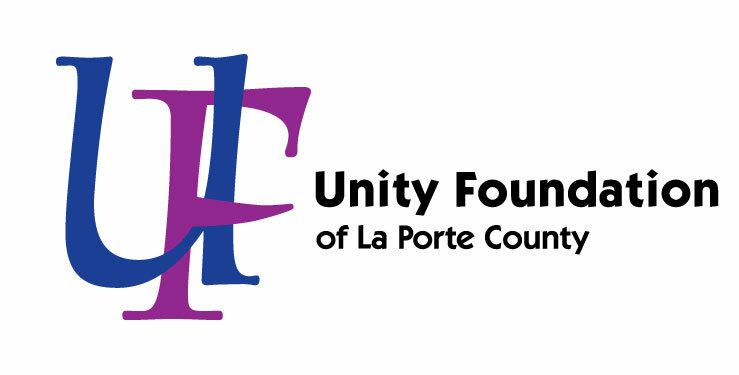 These scholarships will be awarded to graduating seniors of La Porte County who are including music in their studies towards a degree or career. Applicants must download the scholarship application and mail printed application, essay, and transcript to: New Day Foundation, Scholarship Committee, 31 Karwick Glen, Michigan City, IN 46360. The Greater Michigan City Chapter of the Drifters, Inc. is offering this scholarship to local area students in effort to financially assist a distinguished African-American and/or other minority undergraduate student of Michigan City High School pursuing higher education. There are four award criteria: financial need, academic achievement, community service / leadership, and ability & commitment. Applicants must be legal residents of La Porte County, Indiana, graduates of a high school district that includes La Porte County in its boundaries, and accepted / enrolled in a two- or four-year undergraduate program at an accredited institution. Applications must be downloaded and mailed to: Susan Hay Hemminger Scholarship, PO Box 9242, Michigan City, IN 46361. Current graduating seniors of La Porte High School intending to pursuing a four-year undergraduate degree from an accredited, tax-exempt college or university. Applicants must have completed a minimum of four semesters of participation in the competitive speech and/or debate program and concurrent enrollment in the contest speech class. Applicants must also be a member of the National Speech and Debate Association and provide a portfolio of accomplishments in the forensics program. Recipient selection will be based upon: application, attitude, competition record, cooperation, ethical behavior, participation, professionalism, reliability, responsibility, and team contributions. Current students of La Porte High School having completed a minimum of four semesters of participation in the competitive speech and/or debate program. Applicants must be a member of the National Speech and Debate Association and provide a portfolio of accomplishments in the forensics program. Recipient selection will be based upon: application, attitude, competition record, cooperation, ethical behavior, participation, professionalism, reliability, responsibility, and team contributions. The leading online resource in finding scholarships to help you pay for school. Fastweb offers targeted scholarship searches, financial aid resources, college searches, and career advice. The College Board is a mission-driven not-for-profit organization that connects students to college success and opportunity. They offer SAT, ACT, and AP test preparation, college planning, college searches, and professional development resources. 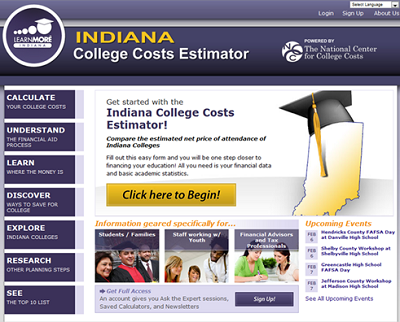 Indiana College Cost Estimator allows students and parents to compare the estimated net price of attendance of Indiana Colleges. Remember your favorite teacher? The one who made a difference? The one who inspired? If that’s the kind of teacher you aspire to be, Indiana has a new scholarship for you! The Next Generation Teacher Scholarship was created to help the next generation of Hoosier teachers pay for college. The State of Indiana will provide 200 scholarships each year to high-achieving high school and college students interested in pursuing a career in education. The scholarship pays $7,500 per year for up to four years to students who commit to teaching in Indiana after graduation.